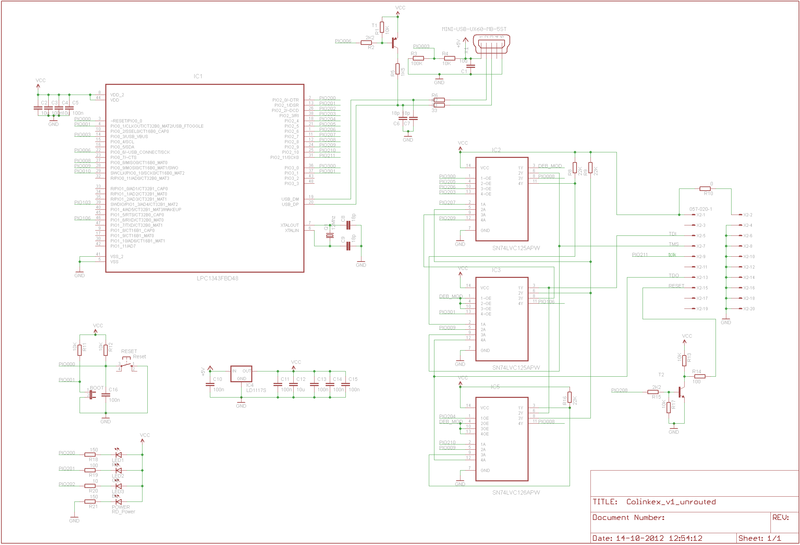 For my projects that are amr based i needed an Jtag debugger and programmer. 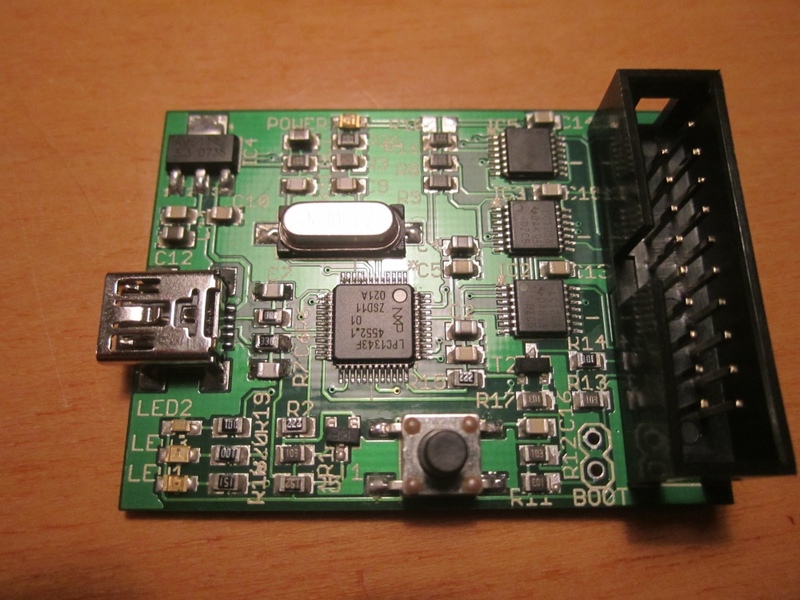 Because i was already using the free CooCox ide it would be also nice to have the CoLinkEx jtag debugger. It’s design and firmware are also free. 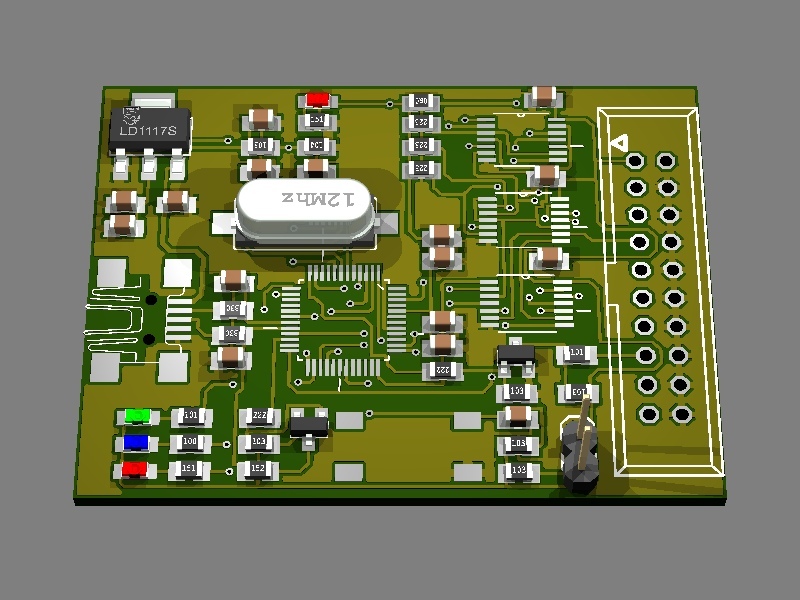 I decided to design my own pcb, it was (not yet) possible to buy it somewhere else. 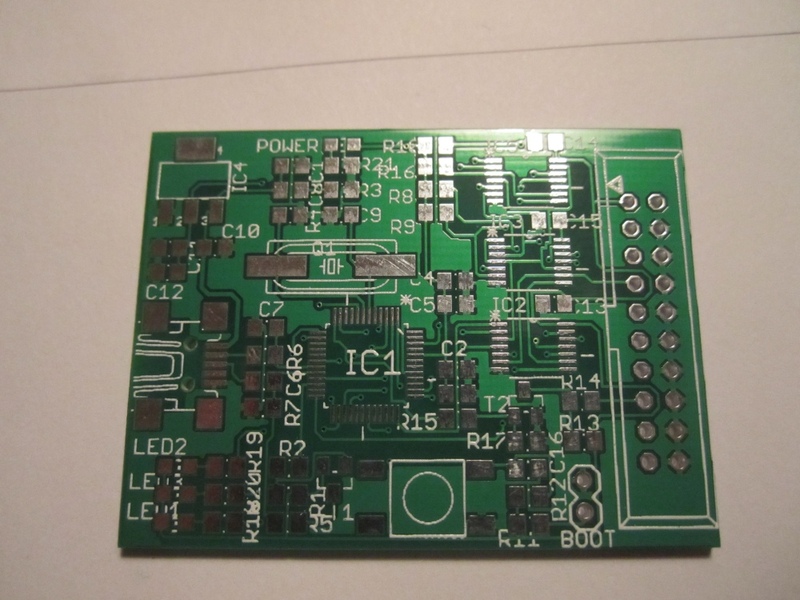 Here it is, if you are intrested in a complete build and tested pcb or an bare pcb, mail me.